The Wild Country Women's Mission Harness certainly won't hold you back from all your climbing goals. 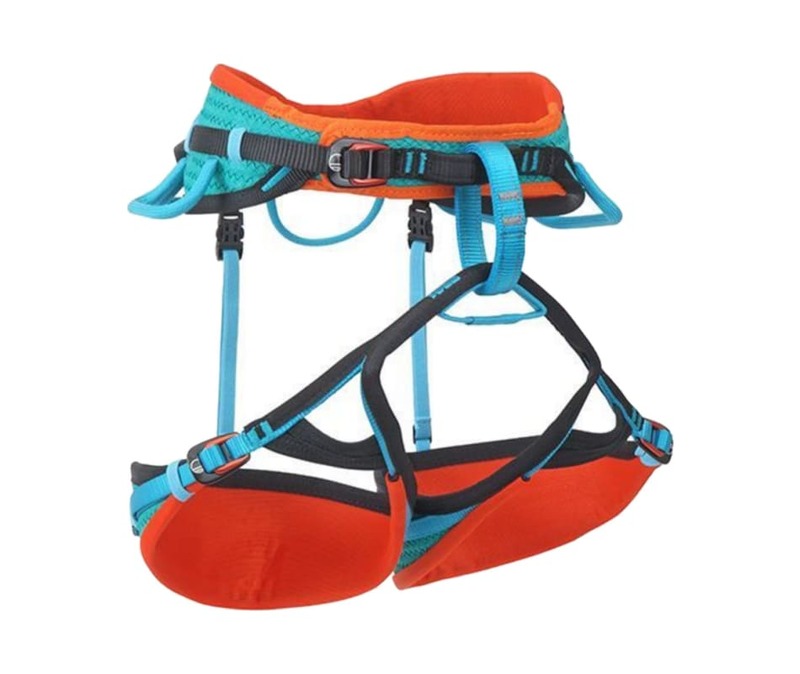 Wild Country wove this harness's abrasion-resistant fabrics together in order to enhance breathability as well as mobility. Its V-Flex waistband has an ergonomic profile that widens at the hip for a women-specific fit. The harness's new Ziplock 3D self-locking buckles have a slimmer profile, yet remain completely secure, and the leg loops adjust to accommodate summer or winter climbing attire. Five spacious gear loops, accessory slots, and a haul loop secure enough gear for trad and alpine routes.